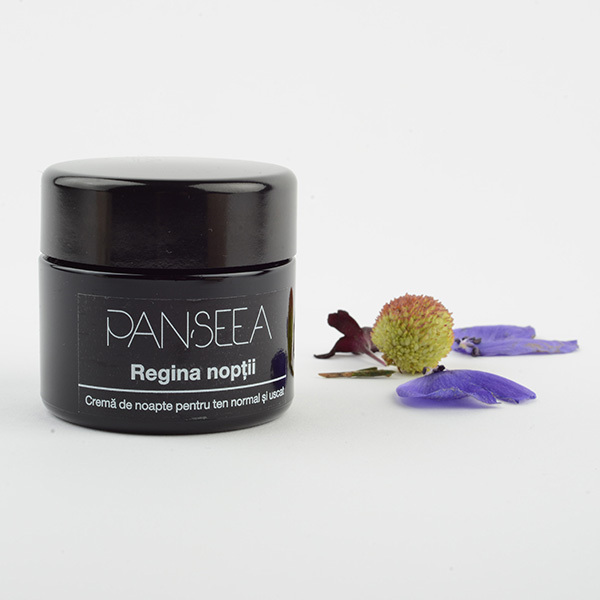 Night cream for normal and dry skin – a deeply hydrating and nourishing cream, for normal to dry skin. A synergic mix of four precious vegan butters, aided by the magic touch of rejuvenating and energizing jasmine water, combined with the calming effect of linden water. Kokum butter regenerates and moisturizes without leaving an oily feel, tucuma butter (rich in carotenoids) feeds and protects the skin against sun damage, murumuru butter (high in lauric acid) protects the skin from water loss by building a hydrolipidic film, while avocado butter (rich in phytosterols) nourishes and rejuvenates. Our synergy is complete after adding the rare and special seabuckthorn seed oil, with powerful nourishing, repairing and regenerating results. It is both protective and anti-age, bringing benefits to irritated, burned or sensitive skin. A small amount of mountain arnica oil enhances the soothing and calming effect. A final, floral note with a relaxing evening scent is provided with the help of jasmine absolute oil. INGREDIENTS (INCI): Jasminum sambacum water, tilia vulgaris water, aqua, cetearyl olivate, sorbitan olivate, garcinia indica seed butter, astrocaryum tucuma butter, persea gratissima fruit oil, palmitic/stearic triglyceride, tocopherol, helianthus annuus seed oil, astrocaryum murumuru seed butter, hippophae rhamnoides seed oil, arnica montana flower extract, jasminum sambac flower extract, benzyl alcohol, dehydroacetic acid.